This month, Margaret Atwood continues her bid for world literary conquest with a side campaign into the realm of comics. One of the most acclaimed writers of speculative fiction Canada has ever produced, Margaret Atwood is respected the world over not only for her writing chops but for her social activism. Atwood’s latest project teams her up with Dark Horse Comics and Nature Canada to create a comic book character who raises awareness about the millions of cats and birds that die every year in neighbourhoods across North America. A self-proclaimed fan of comics since she was a child, Atwood envisions Angel Catbird as an avenue by which to educate people about the downside of keeping an outdoor cat. Thanks in large part to editor-extraordinaire Hope Nicholson, Atwood found a home for her project at Dark Horse and two ultra-talented, willing collaborators in artists Johnnie Christmas and Tamra Bonvillain. The result is a refreshingly upbeat, pulpy return to comics that embrace the unabashedly ridiculous to create a story so ferociously cool you’d be crazy as a cat in a bag to miss out on the fun. Here, then, are your three purr-fectly good reasons why you need to read Angel Catbird. And by wings, I mean there’s more than enough material for subsequent volumes. 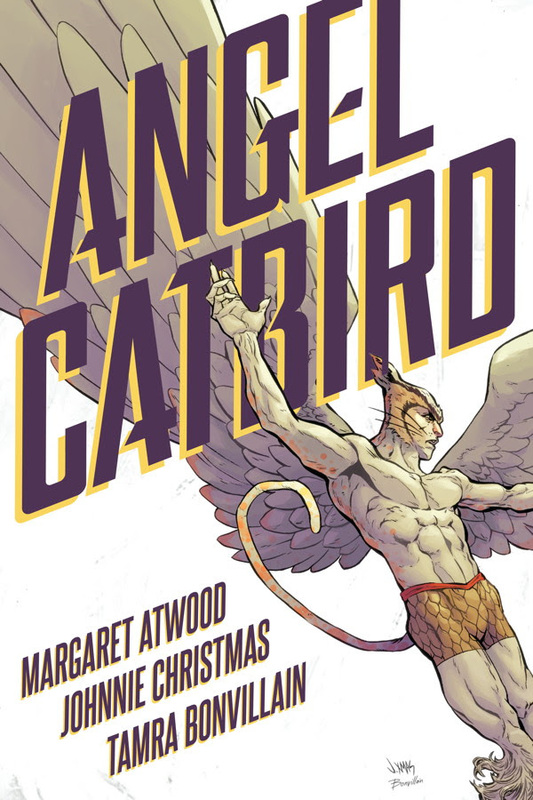 Atwood has created an expansive, vibrant world in Angel Catbird that hearkens back to an age when comics didn’t take themselves so seriously. There’s entire subculture of human-animal hybrids lurking beneath the veneer of normal society. Angel’s introduction to this furry underground comes in the form of a sultry cat-woman named Cate Leone and her friends Ray, a mysterious Aniishnaabe raven hybrid, half-cats Alleycat, Trash, and Cataclysm, and the vampiric Count Catula. According to her introduction, Margaret Atwood has been drawing winged cats since she was a young girl. The infectious whimsy of this core idea permeates every aspect of Angel Catbird, from its unusual setting to its striking visual tone. Angel Catbird enjoys a wonderful creative energy shared amongst all the collaborators but the relationship between Johnnie Christmas and colourist Tamra Bonvillain deserves a special mention. I’ve always been of the opinion that when an art team is really firing on all cylinders, the visuals feel as if they’ve been created by one person. Such is the case with Christmas and Bonvillain. From the sleek character designs to the kinetic page layouts, each panel of Angel Catbird bleeds craft. Christmas’s slick, kinetic pencils are expressive and dynamic and his page layouts clear and natural. 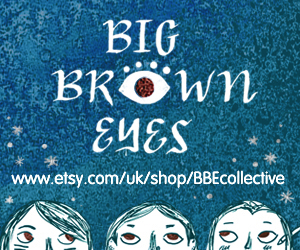 Each character is visually distinct, unmistakeable from their cohorts, and overflowing with personality. Bonvillain’s subtle colour palette remains fluid throughout the book, evoking the bright, airy comics of yesteryear, while remaining grounded in the down-to-earth ephemera of this new Atwood-verse. When combined with Christmas’s crisp visual storytelling, the end result is a book that bounces along with an infectious exuberance that makes for a refreshing change from the majority of dark, gritty fare populating the shelves today. You’ll find these illuminating little nuggets scattered throughout Angel Catbird, at the bottom of several pages, providing all sorts of insight into feline nature. Derived from actual plot points from Angel’s journey towards feline-owl awareness, each cat fact adds another layer to the story, while playing into the real-world awareness campaign. Angel Catbird is available now from Dark Horse Comics at all respectable comic shops and bookstores. Staff Picks for October 26, 2016 – Moebius Library: The World of Edena, Spookhouse, The Skeptics and More!